Mike “Hands of Stone” Swick then moved the USA ahead by defeating Steve Vigneault with a guillotine choke. Franklin then clinched the victory for the USA as the judges scored the bout 50-43, 50-43, 50-42. In other pay-per-view fights, Nate Marquardt scored one for America with a unanimous decision over Joe Doerksen; and Canada’s Mark Hominick used a triangle armbar to beat “The Master of Thug-Jitsu” Yves Edwards in Round 2. 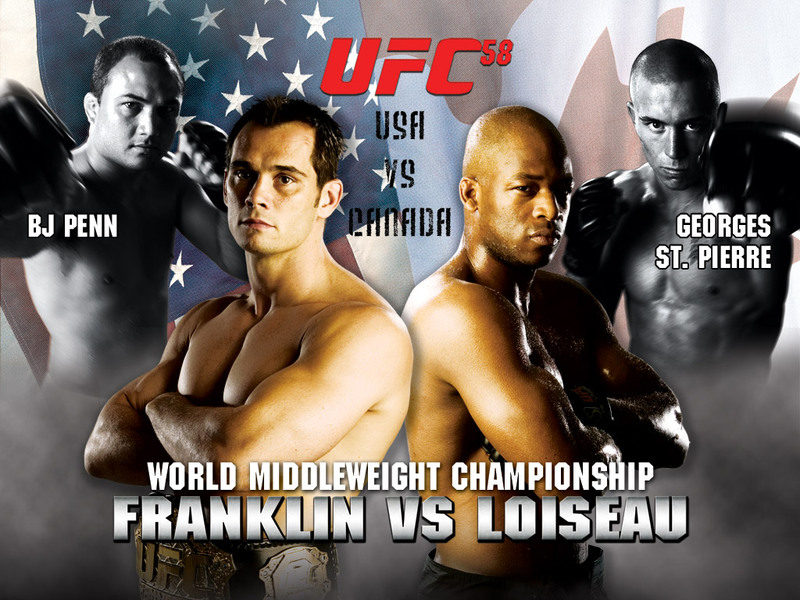 During the prelims, the lightweight division returned for the first time since 2004. Canadian Sam Stout won a split decision over Spencer Fisher. In other preliminary bouts, Tom Murphy of the USA beat Icho Larenas by TKO in Round 3, and Jason Lambert used a kimura to submit TUF 2 alumnus Rob MacDonald in 1:54. Glad that the champion of the UFC is back on track. It will be a hard time for him to cut through the other opponents after this fight but I hope that he will get through.